Muldoon's Irish Pub is a charming, authentic Irish pub nestled in Newport Beach, California. Their restaurant is just brimming with amazing details, brick exterior, warm wooded bars and booths, amber-hued Irish whiskeys being poured around the clock, freshly cooked Irish breads wafting through the air, and more. 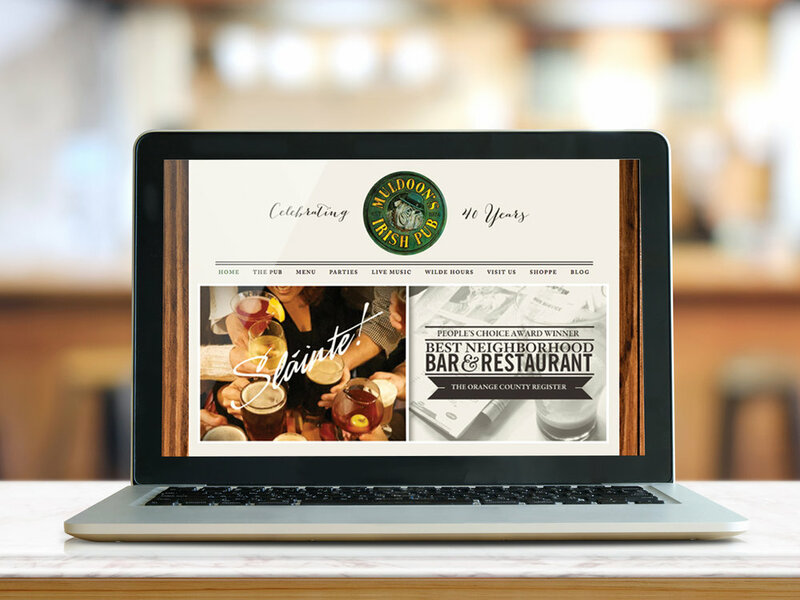 When hired to update their website I decided to incorporate all of these special details that make Muldoon's truly authentic, and still give it an updated, contemporary, clean look. I am so happy with the outcome! I feel like the heart of a very special business was captured. Cheers Muldoon's! Check out more on the project here.